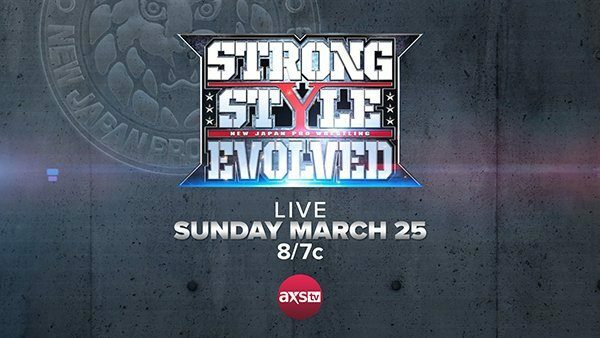 New Japan released the full card for this Sunday’s Strong Style: Evolved event from Long Beach, CA. The event will feature The Golden Lovers taking on The Young Bucks, as well as Hangman Page getting a shot at the IWGP United States Heavyweight Championship. Originally announced for the event was Rey Mysterio vs. Jushin “Thunder” Liger. Mysterio suffered a bicep injury earlier in the month and will not be in action. Instead Liger will take on the IWGP Jr. Heavyweight Champion Will Ospreay in a non-title match. The show is set to air Sunday at 8pm on AXS TV. It will be available to international viewers on NJPWWorld.com. Jushin “Thunder” Liger vs. Will Ospreay.